Manhattan is a unique game that was originally published in the early 90s winning Spiel de Jahres at the time. 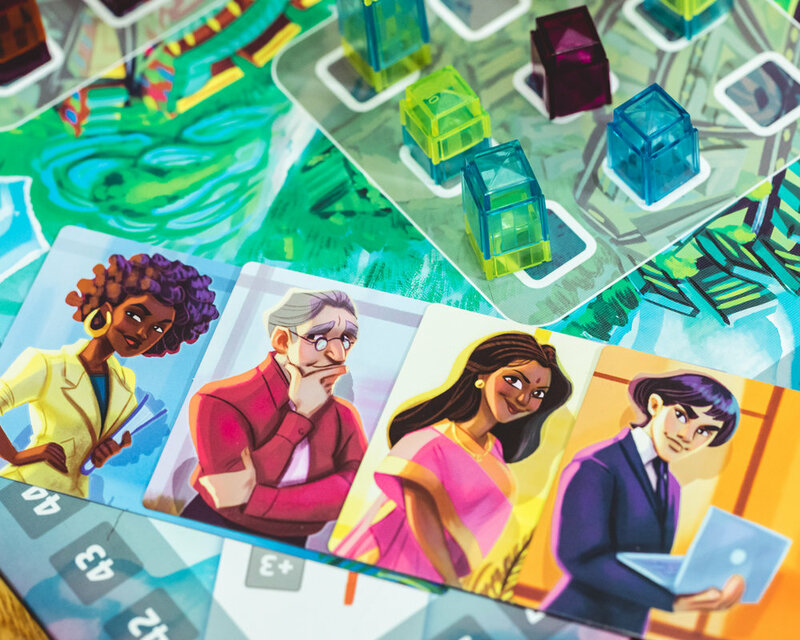 In this version of Manhattan, Fox Mind Games has redesigned the art and components to bring back the game and appeal to modern tabletop gamers. Place the game board on the table. Each player receives a player board and a set of building blocks that match the color of their player board. Each player uses a one-story block as a scoring marker and places it on the 0 spot of the scoring track. The oldest player takes the start player marker. Shuffle the building cards and deal 4 cards to each player. Place the remaining cards in a face-down pile bext to the board. At the beginning of each round players select the building blocks they would like use during the round (determined by the number of players). In clockwise order, each player plays a card, places a building block on the board and draws a new card. At the end of each round (when all selected building blocks have been played) points are scored for tallest building, most buildings owned per city and individual buildings owned. The card must be played straight and cannot be rotated. Players can place their building in any of the cities but it must be placed on the construction site indicated on their card. A player can place a block on top of their own sky scraper. A player can place a block on top of an opponents sky scraper provided that at the end of their turn the player has at least as many stories as the player who previously owned the top floor. The game ends after 4 rounds when all of the building blocks have been used. The player with the most points wins. Manhattan is very minimalistic with only a board, cards and building pieces. The building pieces are colorful making the board come to life as you build miniature sky scrapers. The rules are among the simplest I've ever read. I had my first game unboxed and ready to go in under ten minutes. One might think that simple rules equals a bad game but that does not apply to Manhattan. It's a little bit abstract but requires a fair amount of strategy. Since abstract and strategy are both game mechanics that I enjoy, I was a pretty big fan of the game. It got played multiple times the first week we had it open which is a rare occurence. I will admit I don't pull Manhattan off the shelf ALL the time but when I am in the mood for something lighter or something I don't have to exhaust myself explaining the rules to it is always a candidate. The game is ideal at the 4 player count. 3 players isn't terrible - there's not as much competition for spaces on the board but it still plays well. In a 2 player game, each player has to play with two colors of building blocks. Only one is placed per turn but each color is scored separately at the end of each round. I didn't have any trouble with this but some of my friends had difficulty wrapping their heads around ways to not cut themselves off from points. 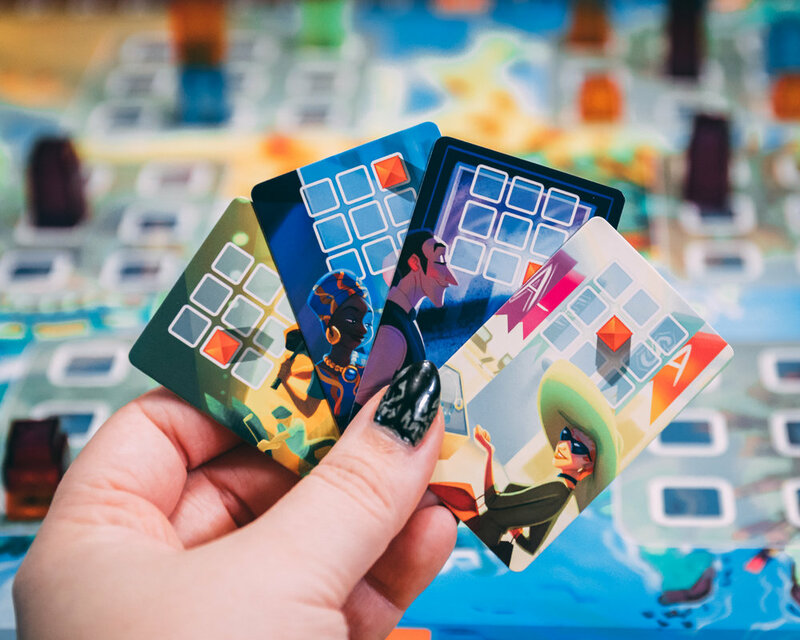 With 3 different ways to score points and the cards in hand relying on perspective, you have to execute precise planning and be open to last minute changes in strategy. While having the most control in a city and having control of buildings in general is where you will gain the majority of points, it is still hard to resist wanting to own the tallest building. It's honestly just extremely satisfying even though it may not be the best use of your resources. In the end, Manhattan is a simplified and perfectly balanced area control game. 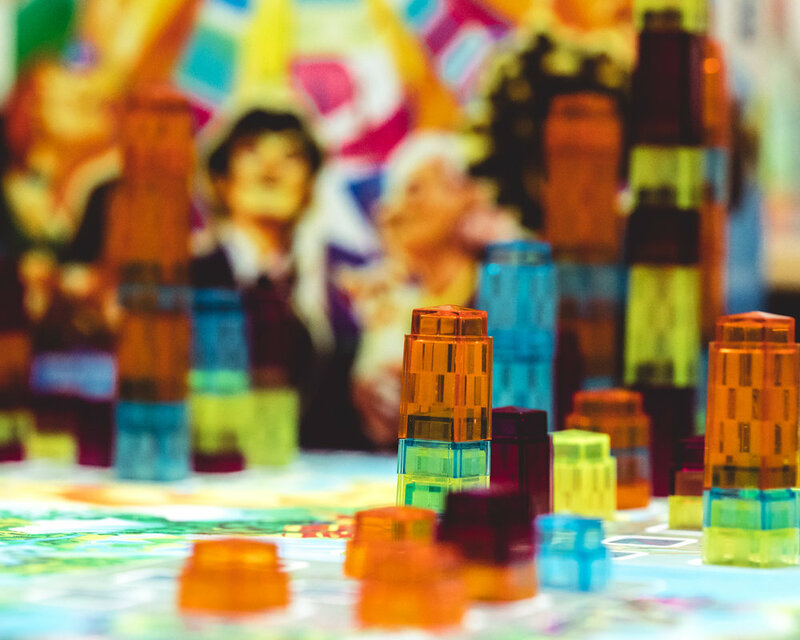 Ideal for beginner gamers, as an introduction to area control or as a filler for when you need a brain break from heavier games, I'd say that everyone should at least try Manhattan at some point. I always recommend checking your local gaming store first, but if you're out of luck you can purchase Manhattan in the links below. As always thank you for reading and leave your comments, questions and/or thoughts below.